Renew skin's texture for softer, smoother, touchable skin. Learn about this potent hydrator that firms, brightens, and smooths fine lines and wrinkles, while infusing moisture. 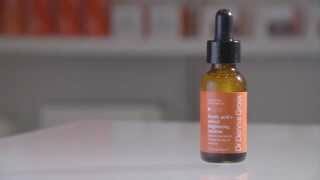 Dr. Dennis Gross explains how non-abrasive daily Alpha Beta® Peels, exfoliate, improve radiance, even skin tone and texture, and reduce lines and wrinkles. A guide to the Alpha Beta® Medi-Spa Peel - your weekly radiance boost to your daily skincare regimen. Dr. Dennis Gross explains how his patients’ number one concern, their eye area, can be made to look brighter and more youthful. 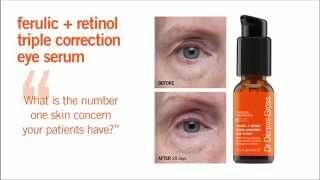 Dr. Dennis Gross explains how ferulic acid makes retinol more effective in combating signs of aging, without irritation. Dr. Gross describes how Alpha Beta® Glotion can give you a warm, candle-lit, streak-free glow.